This entry was posted in Indian, Middle Eastern, Restaurant, Uncategorized. Bookmark the permalink. That Filipino grocery on Broad St. has been closed for a while. The food did not look fresh so I never tried it. However, there is a Filipino grocery store on Sawmill…La Herba Buena? Yep… we were set straight about the grocery out on Broad by some convenience store owners in the area. We’ve tried to visit Herba Buena, but haven’t made it there when it was open so far. I was so taken back by the “American-Mexican-Kabobs & Curry” sign the first time I saw it that I think I literally screamed. I kept threatening to try this place out of sheer wonder. Thank you for putting some of my curiosity to rest. Oh well, you can’t win ’em all. They’re just covering way too wide of a spectrum. If I remember correctly the campus place was called The All In One and it not only had a Taco Bell, Pizza Hut, KFC and burger place – but it also served beer. Tacos and fried chicken and BEER! Heheh… thanks for that. I knew I didn’t have the correct name, but to us it was (and will always be!) Kentucky Taco Hut! It DID used to be a Wendy’s… and the parking situation there is just dreadful. 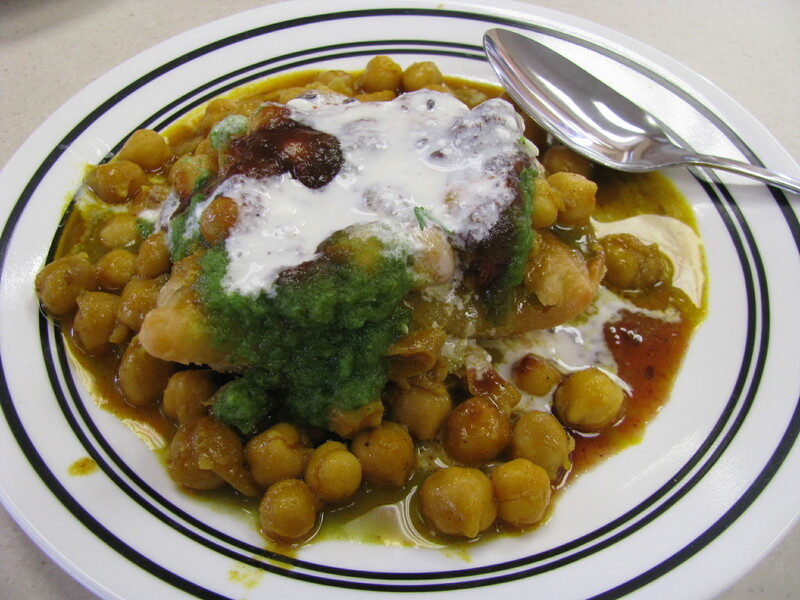 I agree that the owners are extremely nice and oh-so-helpful – I really wish they would focus on the Indian food and be done with the rest of the stuff. The last samosa I had there was quite crisp and great — however, I’ve noticed that some of the Indian selections are perhaps not selling as quickly, so I wonder if it sat about for a while. I’ve ordered “off menu” and have been pleased – but do agree that they seem do dumb down the spices, even when I asked for my dish to be spicy. I need to get the owner’s name – he’s given me several free things to try, at random. My neighbor jokes that he would slaughter a goat, if I so requested. Thank you for alerting me to this place! I live within walking distance, and as far as I know, this is the only source for Indian food anywhere near my west side neighborhood. 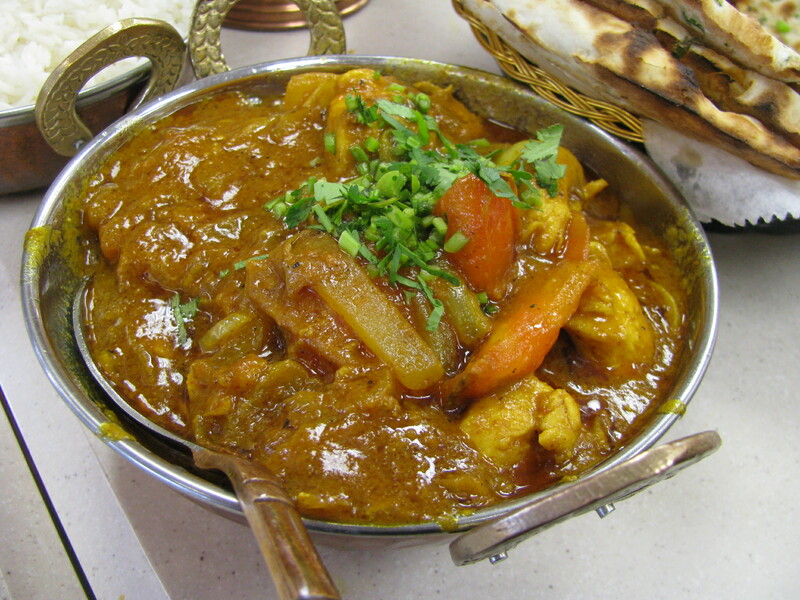 (I’m accustomed to driving to the Taj Palace in Hilliard when I want good Indian food.) I’m assuming this place is relatively new? — I’d never noticed it before, plus none of the external signage looked permanent. Even so, I probably would never have given it a second look if not for the alt eats review. Anyway, my boyfriend and I walked over for lunch today. He had the chicken curry and I ordered the saag paneer. We also split the bread basket. Everything was excellent. So pleased to have found out about this place! We intend to make frequent use of the drive thru, and as a vegetarian, I’m delighted by all of the meat-free options. I think these guys are doing themselves a disservice by offering so many non-Indian menu choices, but perhaps given some time and word-of-mouth, they’ll pare down and focus on what they do best. 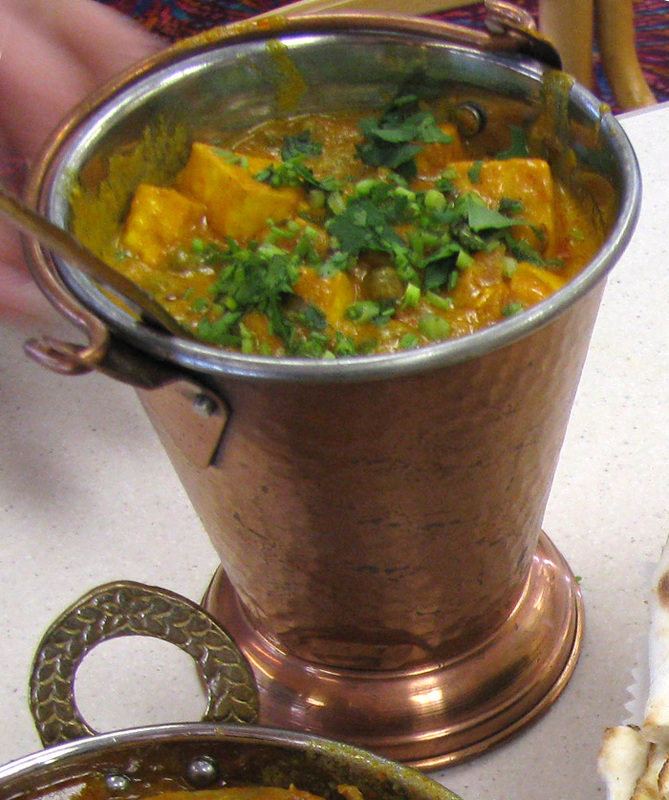 I went back last night – and got the Chicken Tikka Masala again (I can’t help it!) and the Garlic Naan. I told the person taking my order (the wife of the couple who owns the place – I can’t believe I still don’t have their names!) and told her I wanted it SPICY. And she questioned me on it – and I assured her – SPICY. It was excellent. Seriously. I wonder how much of the blandness has come from fear of over-spicing the non-Indian familiar market (namely, nice white girls)? 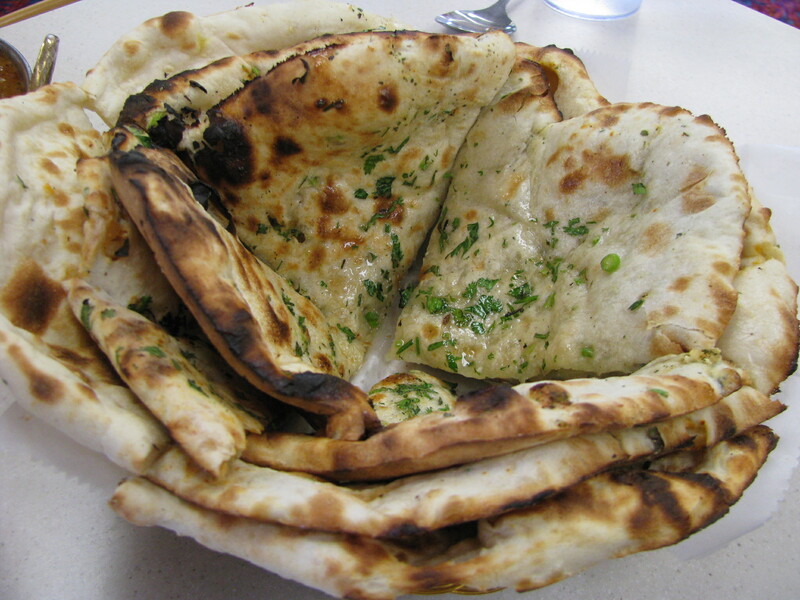 The garlic naan was also great – full of flavor and clearly freshly made. Next time I will try something else. I swear! 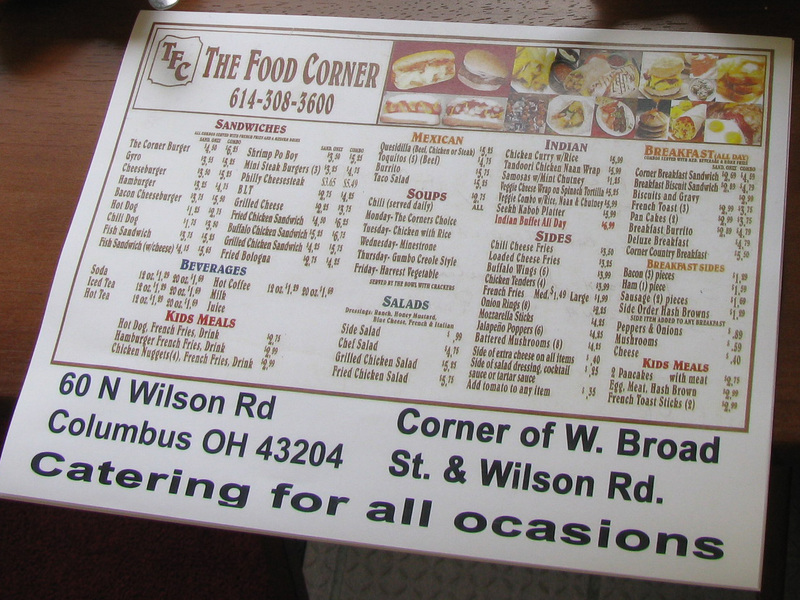 Sorry – sidenote – the folks I went with got a burger (I know! )… specifically a bacon cheeseburger. They claimed it was fantastic – the bacon was actually cooked to real crispness and the cheese was deliciously melted. While I agree the menu is maybe a little overly ambitious, I’d have never gotten these folks in the door if it were Indian food alone. I live nearby as well. I’ve been there with my family, which includes two young children. I snuck a bite of one of the kids’ burgers and can confirm that they’re very good, and so are their fresh-cut fries. I’ve stuck to the Indian menu myself and have yet to be disappointed. We came across the Food Corner by accident-going through the Val-Pack. And yes, this was the old Wendy’s. We were pleasantly surprised at the quality of the food. We ordered the buffet and it was quite good. Good old Punjabi cooking-fresh food. The atmosphere needs a touch of warmth but these folks just started the restaurant a couple of months ago. I loved the naan-soft, fresh out of the ovan. The buttered chicken was excellent, the samosas were fresh, crispy and the desserts were also very good. To my surprise, the menu is extensive but that is a typical Indian restaurant for you. I have heard the burgers are excellent as well. I like the concept of all-in-one and we need something like this on the westside. I wish these folks all the success as there is a lot of potential. I just received a coupon from the Valpack and decided to check it out. My wife and I headed there for a nice Sunday lunch. The place had only one other table the entire we were there, so it wasn’t too busy. I have read the reviews here which seem positive which mine is not. I ordered the Buffet and for the price I can’t really complain. But my negativity is all about the service. My wife ordered a Buffalo Chicken Sandwich (I know its an Indian place but she had bad luck ordering Pad Thai the night before so she wanted to be safe). The sandwich came out and was nothing special but about three bites in, she realized she was biting into raw chicken. It was hard to see because of the sauce covering it, but it was obviously raw. I took pictures of it for proof. She told the owner who left it on the table and said he would go make another which he did. He claimed how difficult it is to tell and apologized. The odd thing is they just left it sit on our table until they brought out the next one. The next one was cooked through but he chose skinnier pieces and the bread wasn’t nearly as crispy as the last one. It was just odd service. Also the salt shaker could be turned upside down without any salt coming out of it as it just stuck together at the bottom (when was the last time it was used). If you go, my advice would be to order Indian from the menu and get the spice you want- buffet isn’t spicy enough for true Indian food but no Buffets around here are usually spicy enough. Service is a little slow and lacks the usual American “Customer is King idea,” but then many alternative eats places are similar to this. I tried this place since it first opened and am almost done with both menus indian and non indian. It is a hit or miss it are things they do well and things they don’t. I have yet to try the buffet however the wife has told me several times to come in and try it. She says the change the items weekly or daily don’t know if they still do since it still has yet to pick up a crowd. The tandori chicken and naan is always excellent. The american food items are good and fresh however some of them won’t be what you typically expect from the name. Two I am not pleased with are Buffalo chicken and philly sub. Spice is dumbed down just let them know and they will adjust accordiangly. We just returned from our 3rd visit there! The first visit we were served by I believe the owner’s wife- she was very nice but almost unnervingly attentive!! The buffet was fine, but improves each time we have went. Last week I tried their spinach paneer dish and it was amazing, so I begged my boyfriend to go with me again tonight. They had a new goat curry dish this time. The dining room is a very unusual set up, but for the price ($1off with Valpak coupon) it is a great meal out. I agree, the menu is a totally bizarre collection of items. Looks like this place has met the fate of so many other west side businesses – the signs I saw yesterday said that site is now another Mexican restaurant. We noticed this. Probably will leave this post up for posterity, but will take the place marker off the map. Hopefully we’ll make it to the new restaurant within the next week or so. I loved this place, I’m so sad it’s gone. 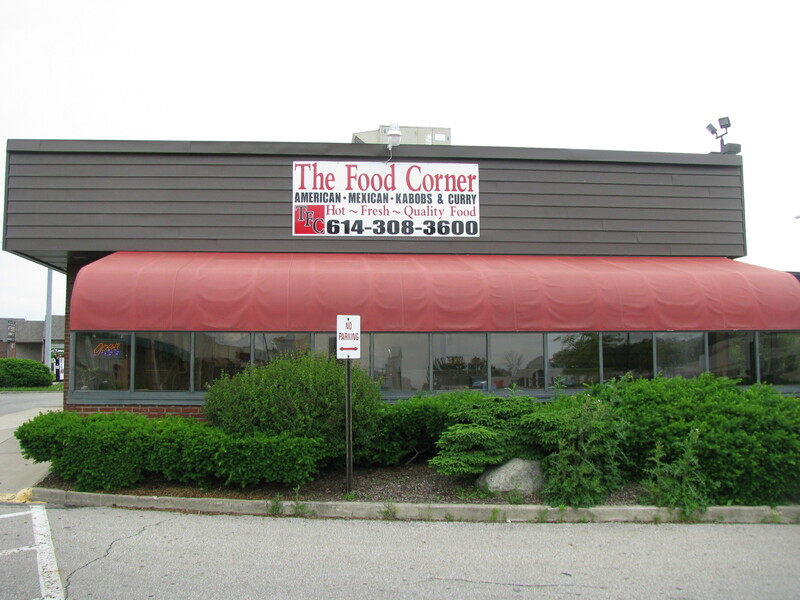 Just FYI, this place is now called Calvin’s Corner and has been open as such for several months. I haven’t been, so I can vouch for the food, but it seems to be holding it’s own so far.